Fetzer Eugene Hartsell, 92, of Oakboro, passed away Monday, December 3, 2018 at Atrium Health Stanly in Albemarle. Mr. Hartsell was born August 19, 1926 to the late John Henry and Rose Ella Crayton Hartsell. In addition to his parents, he was also preceded in death by three brothers and five sisters. Fetzer enlisted in the Navy at the age of 17, where he served in the Pacific during World War II and received the Purple Heart from the sinking of the LCI 600. 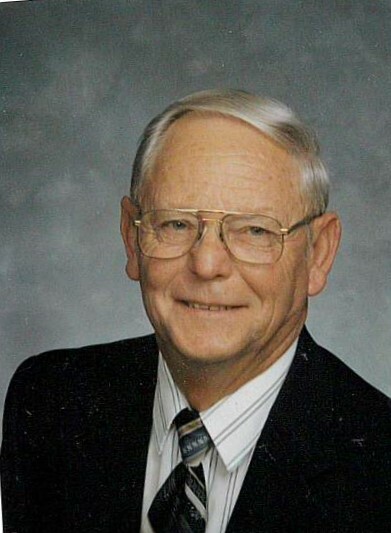 Fetzer was the mayor of Oakboro from 1982-1994 and coached many young men in baseball from little league to semi-pro. Fetzer was married for 63 years to Betty K. Hartsell and always enjoyed spending time with his children and grandchildren. Other survivors include: sons, Rusty (Karen) Hartsell and Gary (Janet) Hartsell; and daughter, Beth (David) Adkins. Grandchildren, Angie (Dwain) Connell, John Hartsell, Amy (Mark) Lisk, Taylor (Rufus IV) Lefler, Anna Hartsell, Hayley Adkins, and Sydney Adkins; great-grandchildren, Emily Connell, Katherine Connell, Sarah Connell, Eli Lisk, Everly Lisk, Rufus and Luke Lefler. The family will receive friends from 6:00 - 8:00 pm, Thursday, December 6, 2018 at Hartsell Funeral Home-Albemarle. The funeral service will be held on Friday, December 7, 2018 at 2:00 pm, at Oakboro United Methodist Church, officiated by Rev. Gene Moore. Burial will follow in the Oakboro Cemetery at 1397 North Main Street, Oakboro. Memorials may be made to Oakboro UMC, 405 North Main Street, Oakboro, NC. 28129 or VFW Post 6365, 1011 Meadow Creek Church Rd, Locust, NC 28097. Hartsell Funeral Home of Albemarle is serving the Hartsell family.